If your pet is suffering from conditions such as arthritis, hip dysplasia, lameness, gastrointestinal disease, chronic health issues, or back problems, he or she might benefit from our chiropractic services. Professional chiropractic manipulation can help ease pain, improve flexibility and mobility, and even enhance organ function. Chiropractic therapy can also promote healing and improve range of motion in dogs injured during sporting events. Chiropractic philosophy is based on the relationship of the spinal cord to the nervous system of the entire body. It primarily involves manipulation of the spinal cord but can also involve manipulation of the leg joints and skull, strengthening or stretching muscles, and post-manipulation exercise. Most animals show no signs of pain or discomfort during therapy. Chiropractors evaluate the function and structure of the spine, extremities, and skull. Based on their examination and the pet’s clinical history, they then adjust any subluxations (vertebrae and joints that are out of alignment or abnormally positioned). Subluxations are manipulated back into a normal position by using a short “thrust” that is applied very specifically in the correct direction. Because of the expertise required for this technique, chiropractic therapy should only be performed by a qualified doctor. 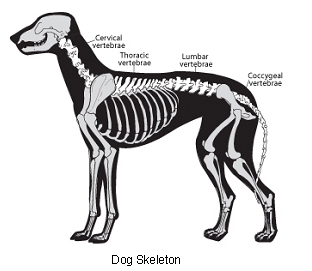 We use veterinary chiropractic in conjunction with traditional therapies to give your pet the best possible outcome. To discuss whether your pet is a candidate for chiropractic therapy, please call our clinic and set up an appointment with our experienced veterinarian.